Identify your compelling value proposition for investors and present it to the world in a way that fuels enthusiasm, drives engagement and participation. Wanted has an impressive record of success in marketing investment opportunities, each of which is grounded in the challenge of introducing people to the new and innovative in a way that gets them motivated to participate. I like to discern the market, find the compelling value proposition on offer, and then position and present it for maximum appeal. Be it online trading or motor racing, interactive games or digital broadcast, financial services freshly regulated by AFSL, branded entertainment and new content formats, or Enhanced Oil Recovery, Wanted has helped bring them all to the Australian market. 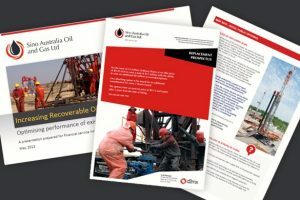 Client: Sino Australia Oil & Gas Ltd IPO – In December 2013, investing in a Chinese business operating in China was a difficult proposition for investors to digest, yet Sino raised A$13.5 million with their IPO (Initial Public Offering), to become the largest ASX listing of a Chinese company that year. Wanted was engaged to prepare the marketing materials that would secure interest and investment from High Net Worth investors in the Asia Pacific region. Working with a non-English speaking Chinese client was the first hurdle. Wanted conducted independent industry research on EOR (Enhanced Oil Recovery) to determine Sino’s competitive position and the advantage of Sino’s new technology. Wanted then harnessed and shared the findings, writing and producing all the marketing materials to secure investors including the Investor Fact Sheet, Prospectus, website and roadshow presentation. Wanted also managed the PR and investor roadshow logistics across Australia, Hong Kong and Singapore. Client: eStar Online Trading IPO – Closing an IPO oversubscribed by five million dollars at $25 million for a technology company during tech wreck of August 2000 was an outstanding result. 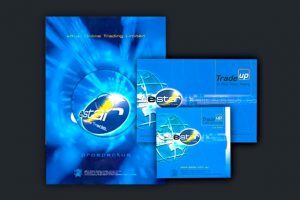 eStar Online Trading introduced online trading using the same software and system the Brokers did, heralding the best in online trading available to independent investors at the time. The Board of eStar engaged Wanted Consulting (Kate Neale) to research the online trading industry locally and overseas, to formulate a business and marketing plan that could take the company public. Digital is not as new as it seems. 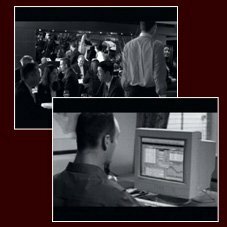 The digital component of the marketing was also ground-breaking at the time, using the website for product distribution and customer support, complimented with online and interactive broadcast – remember this was September 2000! eStar was one of the first to use online and interactive broadcast media initiatives. The streaming video was used to run the TVC’s, a selection of brief video interviews with the IT Director to convey key information, pre-recorded and archived tutorials using interactive features introduced and gave the instruction of software operation. Amortised! With the benefit of forward-planning, much of the content produced for the multi-media presentations were used across all materials, including the demonstration CD with Prospectus. Wanted also created a national TVC campaign, which used the premise of traders dissatisfaction with existing online trading facilities to speak simultaneously to potential clients and investors. eStar was a technology company way ahead of its time, using the best of advanced technology to showcase its own products. 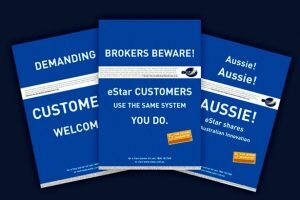 E*Trade Australia IPO – Online trading successfully launched in Australia by Wanted Consulting with the media excitedly embracing the newcomer, the IPO closing at capacity and the new clients signed outperforming expectations. E*Trade Australia was the Australian subsidiary of the US parent public company, who brought the original online trading via the website to Australia. 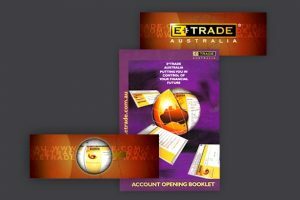 E*Trade’s board of Directors engaged Wanted to produce the multi-media presentation (including strategic design and written content) and the Australian launch events for media and industry, including production design and management, speech writing and presenter training.